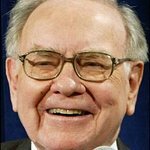 Two investors have bid $650,100 to have lunch with billionaire Warren Buffett. The annual event benefits the San Francisco homeless charity Glide. 43-year-old Mohnish Pabrai – who manages $600 million for Pabrai Investment Funds – teamed up with a friend to win this year’s auction, having bid unsuccessfully in the previous four auctions. “We are elated,” Pabrai said. "We wanted to make sure that this year we blew everyone out of the water. This year’s bid topped last year’s winning bid of $630,000, bringing the total raised in the last 5 years to over $2.13 million. According to Cecil Williams, Glide’s chief executive officer, the charity serves 700,000 free meals a year and provides dozens of other social services on a $12 million budget.